The law categorizes offenses depending upon the seriousness of the offense and the potential punishment a convicted defendant may receive. The three main type of offenses are felonies, misdemeanor and petty offenses. Felonies and misdemeanors are both crimes and are divided into levels based upon their degree of seriousness. Felonies range from the most serious (Class A) to the least serious (Class E) and can include incarceration for more than a year in state prison. Class A misdemeanors (example: Petit Larceny, Criminal Mischief in the 4th Degree, Assault in the 3rd Degree) are more serious than Class B misdemeanors, but a conviction of either one will result in a potential maximum sentence of less than one year in jail. Petty offenses are the least serious categories of offenses in New York and include violations (Disorderly Conduct and Harassment), traffic infractions and many violations of local ordinances. Punishment for petty offenses may include jail, a fine, restitution or Community Service. Petty offenses are non-criminal in nature and when a person is convicted, his or her record is normally sealed. This means that photographs, fingerprints and records relating to the incident become unavailable to the public and law enforcement authorities. When we become involved early in the investigation of your case, we will speak with the police officers and, depending upon the circumstances, provide them with information and witnesses to discourage them from filing a charge against you. When that is not possible, we use all available means to convince the officers to file the least serious charge appropriate to the situation. The police may want to question you during their investigation and before making an arrest. You have the right to remain silent. If appropriate, we will vigorously protect that constitutional right. 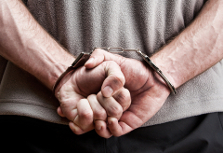 Depending upon the situation, a defendant can be arrested with or without an arrest warrant. The police may make a warrantless arrest whenever a crime has been committed. It need not occur in the officer's presence. If the officer were to make a warrantless arrest for a petty violation, the offense must be committed in his or her presence. If the police choose to make an arrest based upon an arrest warrant, they must apply to the local Criminal Court and obtain the signature of a judge directing the defendant to be brought to court. The Court will issue a summons or warrant when it believes that the defendant will voluntarily appear in court for arraignment as required. Many times as a prelude to an arrest, a suspect will receive notification from the police that he or she is wanted for questioning or be told to report to the local precinct on very short notice, to avoid being arrested at home in front of family and neighbors. The time of day and manner in which you are arrested is critical to how long you will remain in police custody before arraignment. When Sarisohn Law Partners is involved early in the arrest process, you can rely on the experience of a former prosecutor or judge to help negotiate a voluntary surrender or even station house bail to minimize how long you will be in police custody. The police make arrests when it is convenient for them. They work 24 hours a day every day. So, too, do the attorneys at Sarisohn Law Partners. We are available for a free phone consultation when the police call you, when the police knock on your door, or when the police bring you to the police station. You must know and protect your rights before speaking to the police. Your freedom may depend upon it. We are always just a phone call away - every day. In many respects, the arraignment is one of the most important parts of your case. It will be your first opportunity to appear in court after arrest. Your ability to assist in your own defense will greatly depend upon what happens at arraignment. As you stand before the Judge (often in handcuffs), he or she will tell you what charges have been filed against you and ask that you enter a plea. The Court will advise you of certain legal rights depending upon the nature of the charge against you. If you have been arrested for DWI and submitted to a breath test, the Court will suspend your driving privileges for 30 days pursuant to the Prompt Suspension Law. Most importantly, in a relatively brief amount of time, the Court must decide whether to release you on your own recognizance or set bail. The Court will listen to the recommendation of the Prosecutor and your attorney and then decide how much money is necessary to ensure that you return to court. If the Court sets bail and you are unable to post it, you will be turned over to the custody of the Sheriff where you will remain in jail until the conclusion of your case. In the event you have been charged with a felony and are unable to make bail, you will have the right to a pre-trial hearing within 144 hours being placed in confinement (120 hours when a Saturday, Sunday or legal holiday does not intervene). We are on call seven days a week and readily accessible to your friends and family. We will stand by your side at arraignment. The public does not need to hear the details of your arrest so we will waive a public reading of the charges against you to avoid further embarrassment. We will enter a plea of not guilty in your behalf and obtain copies of all the charges against you. This includes affidavits and statements from the complainant/alleged victim, any alleged confessions, breath test results and any other available document in the Court's file. We will use these to begin evaluating your case and preparing your defense. While still in Court, we will begin to address the issue of bail. The Prosecutor speaks first and will generally accentuate the serious nature of the charge and inflate the strength of the evidence they have gathered against you. We will remind the Court that the purpose of bail is to ensure the Defendant's return to court and that it's not to function as a pre-trial punishment. Having spoken to you and your friends or family before the arraignment, we will then emphasize to the Judge your family ties and length of residence in the community, your stability of employment, financial resources, and lack of criminal record. All other indications that you will return to court will also be brought to the Court's attention. When appropriate, we will urge the Court to release you on your own recognizance (ROR). In certain situations, however, the Court will inevitably set bail. We are experienced and prepared to negotiate bail and any other requirement that the Court may impose as a condition of your release. At arraignment, you will begin to face the full strength and resources of the State of New York as the Prosecution begins to seek your conviction. Through our firm and its long experience, we will make sure that your voice is heard and your rights are protected. Persons accused of Driving While Intoxicated will undergo the same general procedures during their arrest and arraignment as other criminal defendants but with two significant exceptions. At the time of arrest, the police will request that a motorist accused of Driving While Intoxicated undergo a chemical test in order to determine the presence and quantity of alcohol or drugs. The refusal of a Defendant to submit to such a test will result in the revocation of driving privileges for one year and financial penalties of $300.00. If the Defendant submits to a chemical test and the result shows a BAC (Blood Alcohol Content) of .8% or greater, the Court will suspend the Defendant's driver's license at arraignment for 30 days pursuant to the Prompt Suspension Law. For those accused of a chemical test refusal, the arraigning judge will provide the Defendant with the date of a refusal hearing scheduled at the Department of Motor Vehicles. The hearing will occur within 15 days from the date of arraignment. Just as we do for the Defendant arrested and arraigned for any other criminal charge, we will protect your rights. We will waive a public reading of the charge, enter a plea of not guilty in your behalf and obtain a copy of the charge and statements filed against you as well as the results of your chemical test. We will argue for the Court to release you in your own recognizance and if the Court is unwilling to do so due to your background or circumstances of your arrest, we will advocate for the Court to set bail at a reasonable level. As Long Island attorneys, we know the importance of being able to drive to and from work and the devastating impact of not being able to do so. If you submitted to a chemical test, we will ask the Court to schedule a Hardship Hearing as soon as possible so that we can demonstrate your need for a Hardship license. As soon after arraignment as practicable, we will sit down with you and immediately begin preparation for your Hardship or Chemical Test Refusal Hearings. The Court will adjourn the Defendant's case after arraignment to allow both the Prosecution and Defense time to investigate the case, discuss it with each other, and determine how it should ultimately be resolved. In many circumstances, the Assistant District Attorney will have the authority to make a plea offer. This means that he or she may offer to reduce the Defendant's original charge to something less serious in exchange for the Defendant's plea of guilty to the reduced offense. The plea offer may also include an agreement to a specified punishment such as payment of the minimum fine permitted by law or a jail sentence substantially less than the maximum or even a no jail at all. Plea negotiations often occur over a period of months requiring multiple court appearances. Plea agreements between the Prosecutor and defense attorney must be approved by the Judge. The first thing we do when we meet after your arraignment is listen to what you have to say. Then we ask questions. Lots of them. We investigate. Witnesses are not the property of either the Prosecution or defense. We will question those who have knowledge about your arrest. This includes the Prosecution and Police. A Defendant is entitled to discovery from the Prosecution. You are entitled to information which includes statements made by witnesses who will testify at trial for the Prosecution, reports of laboratory tests, copies of videos, tape recordings, photographs or other electronic recordings relating to your arrest, names of all law enforcement personnel present when any statement attributed to you was made and much more. Most importantly, the Prosecution must provide all information that support the position that you did not commit the crime. When necessary, we will make motions to the Court to obtain everything you are entitled. Simply stated, these are requests based upon the facts of your case, statutory authority and legal precedent, seeking orders from the Court that among other things, suppress evidence, require hearings that challenge police conduct or even dismiss the charge altogether. The attorneys at Sarisohn Law Partners will utilize their considerable experience to gather and evaluate the evidence that constitutes the charge against you. We will share this information with you and help you make a decision that balances the costs of trial (time lost from work, legal fees, stress, loss of driver's license) and likelihood of success (strength or lack of evidence) with the risk of losing. (Criminal record, greater risk of jail sentence) If you determine that a negotiated settlement is in your best interest, we will negotiate tenaciously with the District Attorney's Office. We will expose the flaws and weaknesses of their case and highlight the strengths of yours. If our negotiating position will improve by your enrolling in a program of counseling, we will not only tell you so, but upon request, help you locate the best place to begin treatment. If the charges against you include Aggravated Unlicensed Operation, Driving with a Suspended Registration or other traffic tickets such as Driving Without Insurance, our ability to negotiate a favorable plea bargain for you will increase if we first help you by obtaining and evaluating your driving record and then removing the obstacles that caused your license suspension. Eventually, in most cases, our powers of persuasion will result in a plea offer. However, a negotiated disposition with the Prosecution does not guarantee a particular result. The plea offer must be presented to the Court and submitted for approval. When we have our conference with the Judge to discuss your case, we know that the outcome will affect your future reputation and possibly your freedom. We will take into account that we know about the judge and the nature of the charge against you when we craft our arguments in your behalf. If the Court does not accept the plea bargain we are seeking, you can count on our more than 50 years of experience and our hard earned reputation to keep fighting for your cause until we have explored and exhausted every possible alternative. Good people can make bad decisions. Our clients sometimes find themselves in the wrong place at the wrong time. Drugs, alcohol, emotional or financial distress may affect normally sound judgement. We understand these situations and pride ourselves in our ability to not only evaluate your case from a legal prospective, but to effectively communicate with the District Attorney's Office and Court and explain who and what your circumstances are and why you deserve another chance. Once all the parties to the plea bargain have concluded their negotiations and accepted the terms of the settlement, they must appear together in open court and place on the record what they have agreed to. Each party has an important role to play. The Prosecutor hence defense attorney will each state their understanding of the plea offer. The Court will then confirm its promises regarding the sentence it will impose. The Court has the obligation to advise the Defendant of the constitutional rights he or she is entitled to and about to waive. These include the right to trial, present a defense, confront witnesses and remain silent. Next, the Defendant will offer to admit his or her guilt to the original or any reduced charge that was part of the plea bargain. Finally, the Court will accept the Defendant's offer to plead guilty provided that the Defendant knowingly, intelligently and voluntarily waived his or her rights and actually admitted to committing an offense. Sentencing may take place immediately. However, upon conviction of most crimes, the Court will order the Probation Department to conduct a pre-sentence investigation. There are times when after many months of hard negotiating, a favorable plea bargain results only to be undone by a Defendant who gives an improper answer during his or her allocution. We will prevent that from happening by fully explaining the court procedures to you in advance. We will tell you what the Prosecutor and Judge will ask and expect of you. Standing in court about to admit wrongdoing to a Judge makes most people nervous. We will speak to the Court on your behalf and if necessary, prompt you what to say and when to say it. Before you admit guilt to any offense, we will make sure that the Assistant District Attorney and the Judge accurately state the terms and conditions of your plea bargain and that you understand how a plea of guilty will affect you. Once you plead guilty, it is rare that the Court will allow you to withdraw your admission of guilt. Sentencings usually take place on the same date that a Defendant pleads guilty to a non-criminal offense about six weeks later when they plead guilty to most felonies and misdemeanors. At sentencing, the Court will review the Probation Department's pre-sentence report and any other materials presented by the attorneys. The Court will review any promises made as part of the plea bargain. Unless information becomes known to the Court that it wasn't previously aware of, the Court will sentence the Defendant according to the terms of the plea bargain. Sometimes, the Probation Department will recommend that the Court impose a sentence different than what the Judge and attorneys agreed to. When that happens, the attorneys and Court will hold a conference to review the report and issues that it raises and determine what the appropriate sentence should be. When this important question has been resolved, the Judge will speak to the Defendant and impose its sentence. From the time you retain Sarisohn Law Partners, we think about you and start to prepare for your sentence. The Assistant District Attorney and Judge are strangers who will decide your fate based upon the allegations against you and their own individual backgrounds and biases. Our goal is to educate them about you and make them sympathetic to the outcome we are trying to achieve. To do that, we evaluate the facts of your case, your relationship to the parties involved and of course your prior arrest history. We review your present schooling or employment situation, your immigration status and plans for the future. We will ask about your medical history and the role drugs or alcohol plays in your life. The information we gain from this thorough preparation will guide us as we negotiate a plea bargain the minimizes the consequences of a conviction to you. Judges are often impressed by Defendants who acknowledge a weakness by voluntarily participating in treatment. We will assist you in obtaining the proper medical or psychological evaluations and treatment at the start of your case so that we can present the Court with evidence of your progress when we are ready to conclude it. Sometimes, letters of reference help the Court reach a decision about you. We will use them and anything else that is effective in persuading the Court. On the date of your sentencing, we will remind the Court of any promises it made when you plead guilty. We will also meet with the Judge and Assistant District Attorney to review the pre-sentence investigation prepared by the Probation Department. We will highlight the positive findings, minimize the negative and correct any inaccuracies. We will present the Judge with letters or reports written in your behalf and when necessary, prepare and present an alternative pre-sentence report. At sentencings, the Court often has discretion in the nature and severity of punishment it can impose. This includes jail, probation, fines, Community Service and various forms of treatment. We will vigorously argue in your behalf and fight for the least restrictive punishment appropriate to your case by offering suggestions, solutions and alternatives until the Judge finally reaches a decision regarding your sentence. When that happens and our conference if over, we will appear together in the courtroom for the Judge to place your sentence on the record. The attorneys and the Defendant will have one last opportunity to speak to the Judge. We will stand beside you. If you wish to speak, we will advise you what to say and when to say it. We will make arrangements for you to pay any fines and advise you of anything else that needs to be done to conclude your case. Although your case may be finished at the courthouse, questions often arise afterward. Call us. We value you as our client and hope that our relationship will extend beyond the courtroom and to more pleasant times.